The addition of mandatory individual room temperature controls to the Energy Performance of Buildings Directive (EPBD) is a welcome validation of best practice for the plumbing and heating industry, and also represents an extraordinary energy saving opportunity for the UK, experts in the field believe. Article 8.1 in the EPBD will require new buildings to be equipped with self-regulating devices for individual room temperature control where technically and economically feasible. In the case of existing buildings, they will be required to install them when heat generators are replaced, and it is viable. A recent white paper clearly shows the scale of potential energy savings across the UK from the application of readily available and highly cost-effective technologies such as Thermostatic Radiator Valves (TRVs.). A further 43 million radiators with old TRVs could be economically upgraded to newer models. 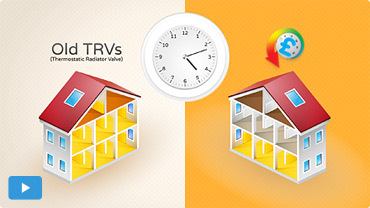 TRVs are too often not installed at the time of a boiler replacement, despite the building regulations saying it is ‘good practice’ to do so and it being cheaper to do so while the system is drained down. This is an opportunity to ensure that all systems are made more efficient, underpinned by a legal requirement in our UK Building Regulations, which will result in householders having a lower lifetime cost for their heating system as well as greater comfort.